Confession time. I didn’t clean up the wilted and battered relics of my balcony container garden at the end of last season before the soil froze over. I also have been slow to get this season’s garden up and running. I add a random plant here, sprinkle a few seeds there, sweep up one corner of my deck one day, bag up a broken pot the next. As you can imagine it’s been slow going and frankly, it’s still a work in progress. But I suppose a garden always is, right? You’re constantly making changes and additions, and of course marveling at the surprise changes not of your own making. One of the advantages of procrastinating with my small, urban garden is that it gives some of the plants that have re-seeded on their own a chance to pop up and perhaps set the basis for the overall arrangement. I recognize the leaves of one of my standard bearers, petunias, at their very early stages so it was easy to begin work from there. Of course it’s a guessing game as to which colors will end up where once they bloom. I had numerous petunia seedlings in a couple of different planters and once they seemed strong enough I moved them around to specific spots to hopefully create a nice arrangement when combined with other plants I’ll add. I was also pleased to see that my chives came back, and their symmetrical placement in my herb planters gave me a good starting point to building out those boxes. 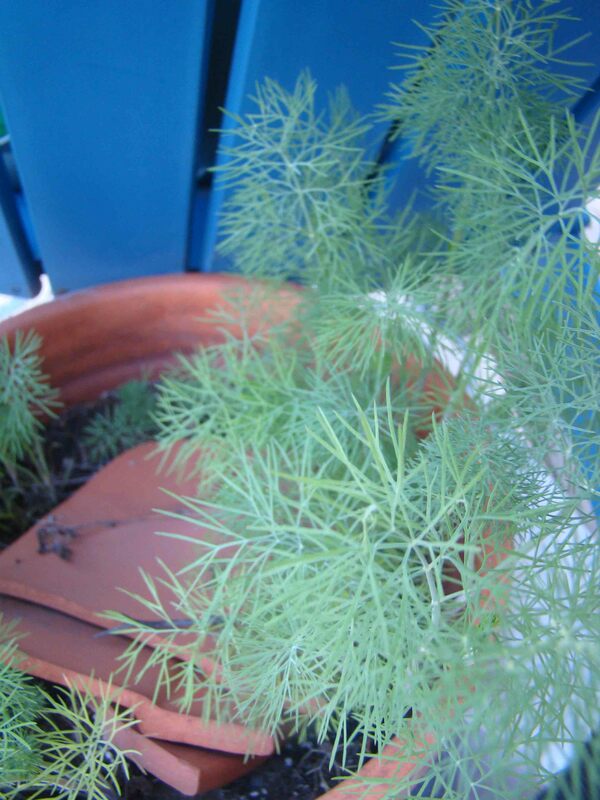 Interestingly enough, my dill didn’t pop up in the herb planters where they were last season. Instead, its seeds apparently decided to drift over and take up residence in the soil of a broken pot on the deck floor! I will attempt to transplant it into the herb container before I discard the damaged pot. 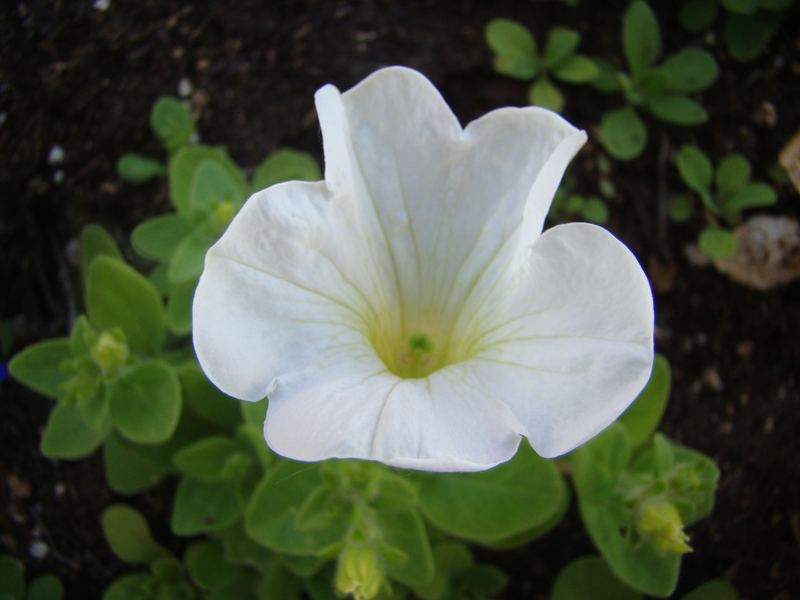 I think simple and hearty plants like petunias and herbs are an excellent way to get started if you’re playing catch up in the garden. You can usually find small pots of herbs, and herb seeds, at the grocery store and not even have to travel as far as the nursery. And a lot of the seeds grow pretty quickly. I planted sweet basil seeds in a pot and they took off in no time. And now that the petunias are starting to bloom I’m seeing quite a nice mix of white and the dark purple colors and they are quickly helping to fill in some of those empty spaces in my containers.